To try and save Clary from Jonathan, Jace goes undercover. 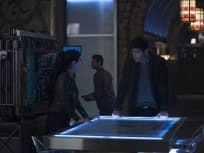 Back at the Institute, Isabelle, Simon and Luke race to find a way to finally destroy Clary’s bond with Jonathan. With time running out, can Isabelle create the solution before Jace’s cover is blown? 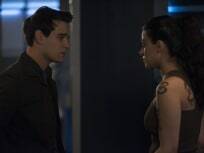 Simon and Izzy team up on a secret mission to figure out what the Clave is hiding. 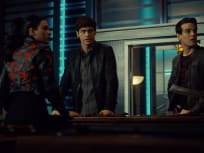 Meanwhile, Clary is conflicted about Jonathan as the Shadowhunters try to get answers. Clary and Jace come up with a risky plan to get rid of her twinning rune, which may bring an old enemy back into the fray. 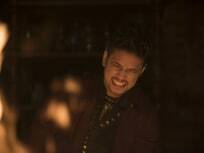 Meanwhile, Alec is worried about Magnus. 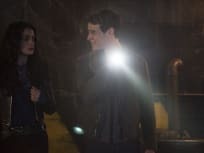 "A Kiss From A Rose"
On Shadowhunters Season 3 Episode 14, Isabelle asks Alec for help in tracking down information on the Clave's downworlder prison, and Jace takes Clary on a special date. 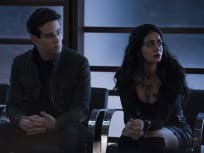 On Shadowhunters Season 3 Episode 13, Jordan and the Praetor continue their search for Heidi, and Isabelle gets information about the Clave prisons. 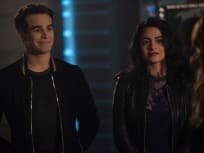 On Shadowhunters Season 3 Episode 12, Simon is determined to get rid of the Mark of Cain, and Clary desperately tries to escape her current situation. 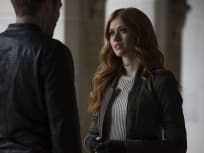 On Shadowhunters Season 3 Episode 11, the group deals with the loss of Clary, and a new evil moves into town in the form of Jonathan Morgenstern. 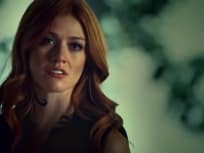 On Shadowhunters Season 3 Episode 10, the team scrambles to find a way to put a stop to Lilith's plan, while Simon makes a heartbreaking choice. Rebecca: Now I get it. Rebecca: Why you're better than fine. You're totally into Isabelle. Permalink: You're totally into Isabelle.